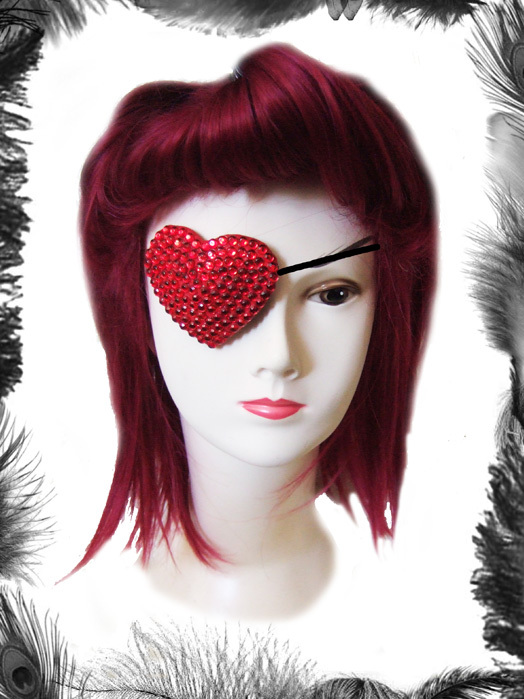 Heart Shaped Rhinestone encrusted Eye Patch. Queen of Hearts, Club wear! Rhinestones available in the following colours: Baby Pink, Red, Black, Cerise Pink, Purple or Silver / Clear. Other colours can be sourced, just ask!